LinkedIn, seriously, has come a long way, you know, it alone brings in 80% of B2B leads! We’ve seen LinkedIn evolving into the world’s most popular professional networking platform where we can get our ideas, write-ups, videos, recommendations, endorsements, and questions out to the people. But, that’s not all, there’s still much to explore on LinkedIn’s new and improved interface! LinkedIn has introduced a whole set of new features with a bang! A lot has changed, compared to when we used to login in 2017 to when we log in now. Actually, everything was way different until late 2017, because LinkedIn has completely reformed its desktop site. Here you go with a glimpse of the most exciting, and of course, noteworthy newly added LinkedIn features. The ‘Smart Replies’ from LinkedIn is no less than an inspiration to a timely response to your incoming messages. 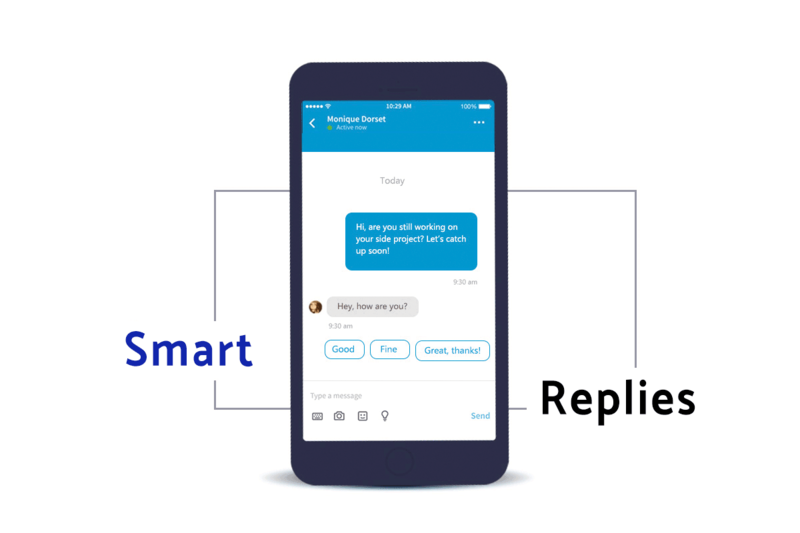 This feature uses artificial intelligence to find potential replies to your incoming messages. Inside LinkedIn messaging suggests you three responses to choose from, say if your teammate asks you to join him in a meeting tomorrow, your suggested responses would be- ‘Yes’, ‘What time’, and ‘Not for me’. These smart replies establish real-time conversations on LinkedIn for an undoubted improved engagement and thereby, increased sales, but I guess, these are useful for only simple and predictable communications. It’s a smooth, easy, and intuitive feature, becoming “smarter” over time as I use it more often in LinkedIn messages. 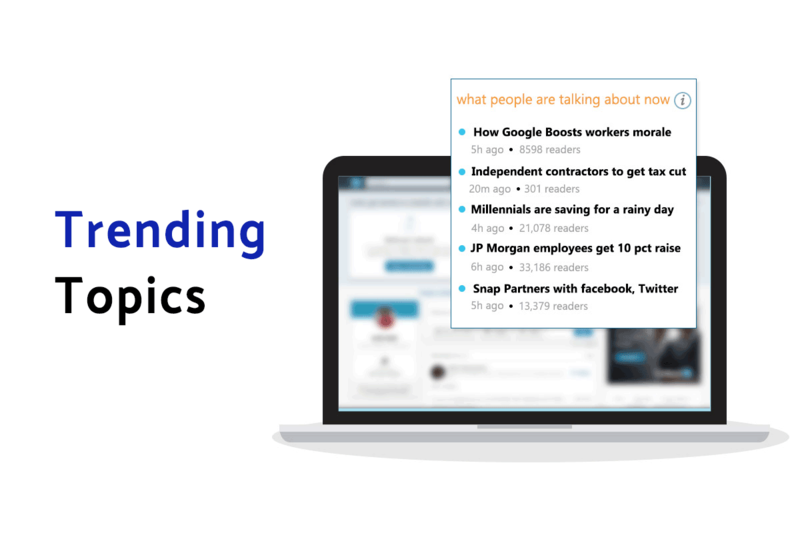 LinkedIn Feed is all up to help you follow the trending stories! Well yes, like Facebook, LinkedIn is trying to make its user base more engaged on the platform with this newly styled newsfeed. It’s indeed a safe bet! This ‘Trending Topic’ feature shows trends that are more specific and related to your connections and the content you engage with. This feature is a definite hit for selling leaders! Unlike other features, ‘Sales Navigator’ it is not free, it’s a premium one. You, as an individual or as a team, can choose the payment term to be monthly or annually. You can see who’s viewed your profile; get access to the extended LinkedIn network, lead and account search capabilities, and recommendations, and there’s pretty much more to access. Here’s what market leaders have revealed about ‘Sales Navigator’. Seeing this, I’m quite sure about the added level of exposure this amazing feature is set to bestow you with! 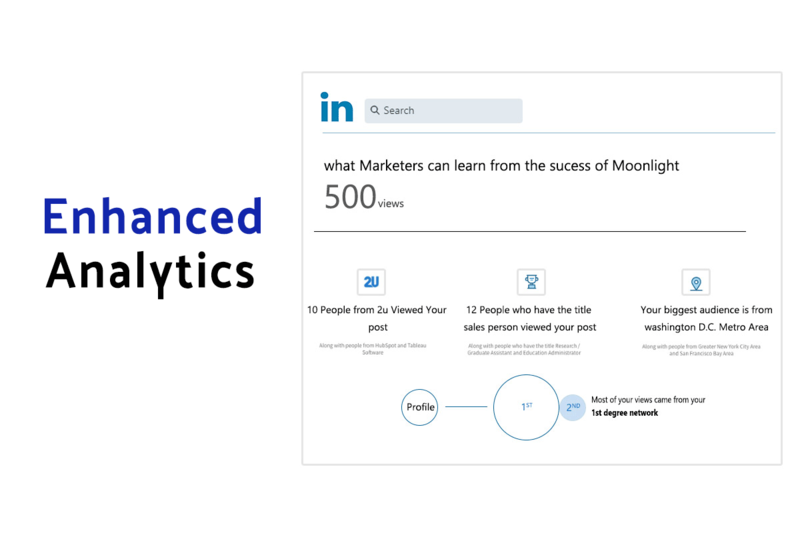 LinkedIn is up with way more analytics! Now you can see much more than just ‘who viewed your profile’ and ‘who likes the post you shared’. You can now see more analytics about the person who liked your post, be it his organization’s name, his job title and job role, his location, and even where he’s got your post. Isn’t it too good, after all, human is a curious creature! The video posting is now all changed for LinkedIn! Before the recent LinkedIn updates, you could only embed video content on your LinkedIn page from YouTube or some other similar platform, unless you’re one of the LinkedIn Influencers. You can now upload native videos directly through the LinkedIn mobile app. 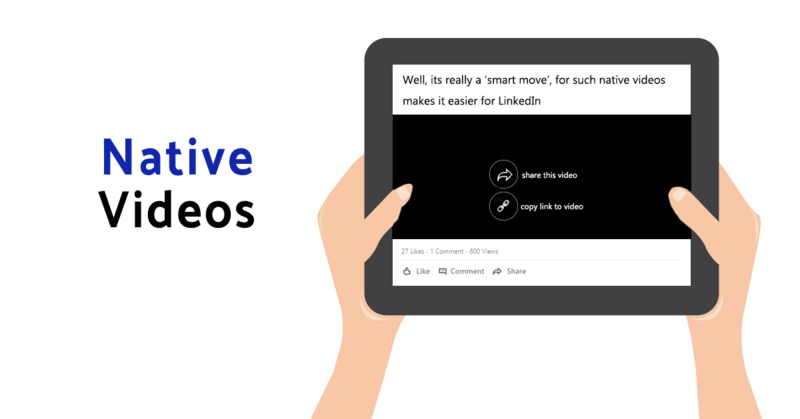 Well, its really a ‘smart move’, for such native videos makes it easier for LinkedIn company pages to appear more authentic and professional in connecting with people, visual storytelling and follow brands. LinkedIn’s next to add feature list has got ‘Calendar Chatbot’. This amazing chatbot will look out at you and your connections’ calendars to search for and set a suitable time frame for you two to see each other on its messenger platform for a real-time conversation. A slick new publishing platform is one of the LinkedIn’s perfect fit new features. The earlier way of writing an original blog post by navigating to LinkedIn Pulse has changed now, you can easily do that with ‘Blog Publish Platform’ in a single click! 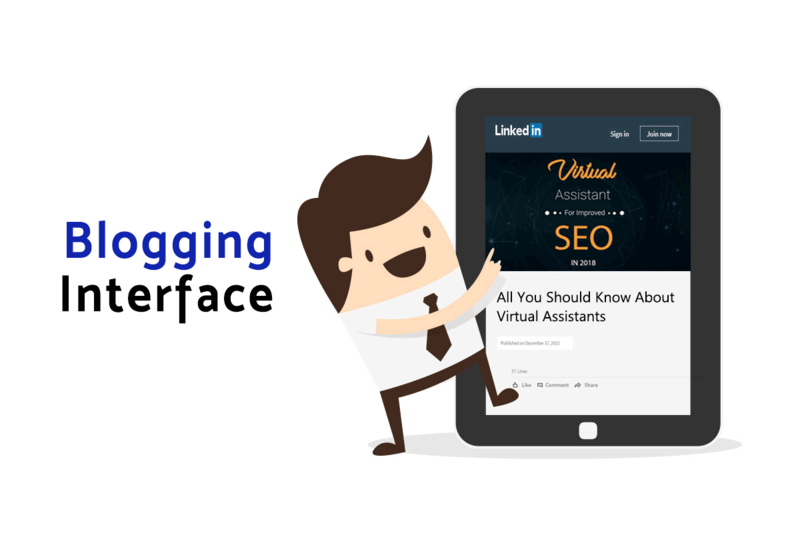 This blogging interface can let your brand get way more attention since the content consumption on LinkedIn has increased over the last few years. I hope these features would have a great impact on your brand on LinkedIn since you’ve got an idea about almost all for now. 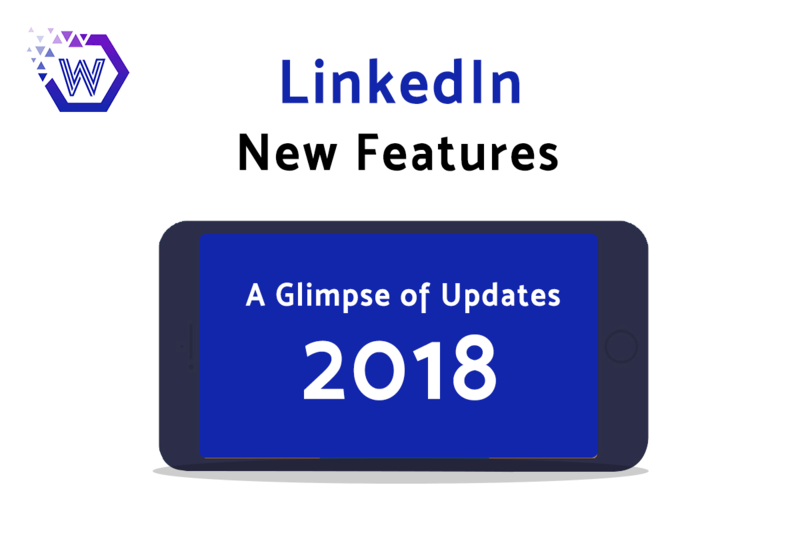 By the time I unfold more updates, keep analyzing these features by using them on your own and see if these are capable enough to attract your potential audience to spend more time on LinkedIn with your brand. *Note- Images need to be recreated, these are for reference purpose only.